“It is the completion of NASA’s technical certification of the design, combined with a mission-specific flight readiness review, that assures the crew will fly on an adequately risk-managed spacecraft,” the report added. The document goes on to describe the certification process that NASA is using for Boeing’s Starliner and SpaceX’s Crew Dragon spacecraft, which are each scheduled to fly uncrewed and crewed flight tests to the International Space Station (ISS) this year. The comprehensive certification process includes the submission of test data, measurements and analysis by the companies to NASA for review and validation, the report stated. In some cases, NASA employees witness tests or conduct physical inspections of hardware. ASAP said the process is more limited than the ones NASA has used for previous crewed vehicles.. The space agency was much more involved with design and development in the past, giving it more control over the process and insight into the vehicles. The commercial crew process is “limited to accepting the vehicles for use by NASA astronauts on a specific mission profile rather than a general safety certification process typically used by the Federal Aviation Administration (FAA) for aircraft. “Unlike previous human-capable spacecraft developed for NASA missions (ISS, Shuttle, Apollo, etc. ), NASA does not own or control the commercial crew vehicle designs,” the report stated. 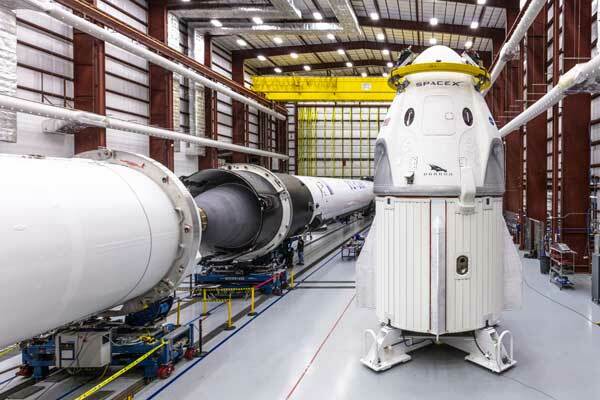 The certification process is required for the space agency to understand system designs, operational margins and operational envelopes for Crew Dragon and Starliner, the report added. “While NASA has some experience with qualifying vehicles in this manner, having used a similar process with Evolved Expendable Launch Vehicles for high value payloads as well as its experience with the Commercial Cargo Program, the CCP will for the first time be certifying commercially developed vehicles for human space flight,” ASAP said. “The Panel again wants to emphasize the importance of a strong, robust certification process that will ensure that data submitted to validate the design meets the stated requirement with the expected margins and that the hardware delivered reflects that design,” the report added. ASAP said the space agency needs a clear set of guidelines for proceeding when a certification condition is inadequate. “What defines ‘inadequate’ needs to be specified and communicated to the workforce,” the report said. The panel also made two recommendations to NASA concerning commercial crew. Required Actions for Crewed Flight Test Risk Reduction: NASA should confirm and then clearly communicate the required content and configuration for the upcoming CCP test flights-Demo-1 and Orbital Flight Test (OFT)-specifically, those items that must be successfully demonstrated prior to the first crewed flights. Action to Ensure U.S. Access to the International Space Station Given Commercial Crew Program Schedule Risk: Due to the potential for delays in the schedule for the first Commercial Crew Program (CCP) flights with crew, senior NASA leadership should work with the Administration and the Congress to guarantee continuing access to ISS for U.S. crew members until such time that U.S. capability to deliver crew to ISS is established. NASA had not responded to either recommendation by the time the annual report was printed. The last American astronaut to fly to the space station is set to return to Earth in January 2020. NASA needs to have at least one of the providers up and running by then to avoid a gap in U.S. occupants on the orbiting facility. NASA is planning to have Boeing’s second flight test, which will include crew aboard Starliner for the first time, become a long-duration mission to the station. That plan depends upon both the uncrewed and crew flights not experience serious failures. The schedules for both vehicles have been slipping for years. Additional delays are possible. Each vehicle and its launcher will need to be certified to carry astronauts on a commercial basis after the crewed flight test. That process is expected to take several months as NASA and the providers comb through data and make any required changes to their systems. Dragon red tape is NASA imposed. Merlin dev was like a beach assault. who are those people? certianly not me, nor the people who are dealing with commercial crew safety. I had read sometime back that it was life support. But…I wonder…can’t that be tested just as well on the ground as in flight? This would appear to be the heart of our disagreement. No, they’re just not acting like today’s aviation companies. Instead, they’re acting more like aviation companies did when new aircraft didn’t take decades and many billions of dollars to develop. Take a look at the century series of aircraft and how quickly one followed the other. The pace of innovation was insane. Search for it on Amazon.com and at least read the synopsis posted there. “I dont see that pace of innovation anywhere today” – LOL, I see SpaceX innovating all the time. Landing Falcon first stages either on a landing pad or on an autonomous drone ship is innovative. Landing both side boosters and the core first stage of a Falcon Heavy will be innovative. Dragon 2’s proposed propulsive landing technique would have been innovative (had NASA not squashed it due to NASA being risk-averse). SpaceX is the only company building a full flow staged combustion liquid fueled rocket engine and they’ve been firing it on the test stand. If it works, Starship’s active thermal protection system using will be innovative. You can’t forget Blue Origin either. In addition to New Shepard, they also have produced the BE-3 and BE-4 engines. These new engines to be used to power the partially reusable New Glenn launch vehicle (which will operate like a Falcon 9 but be much bigger and much more capable). BE-4 was also chosen to power ULA’s Vulcan first stage (so it must be good). I’m sure there is more, but I think it’s safe to say that companies like SpaceX and Blue Origin are demonstrating the sort of pace of innovation that the rest of the US space industry should have been demonstrating for decades. Instead, the likes of Aerojet Rocketdyne, ULA, Boeing, Northrup Grumman (Innovation Systems), and etc. have all sat on their laurels for decades producing such “innovations” as disposable five segment solid rocket boosters, disposable SSMEs (RS-25Es), AR-1 (but no complete engines), and etc. And my experience with outside safety people puts us on reciprocal courses as they are more often than not dangerous in their ignorance.. Ah well maybe on other subjects we may be able to be civil. Interesting question as to how one can realistically “test” life support without any actual life on board to support. A CO2 cylinder with a timed release mechanism to simulate respiration maybe? But actual crew also add water vapor to the cabin atmosphere by breathing. How would one simulate that? A tea kettle on a timer? And if one doesn’t “challenge” the life support system on a test flight, how can one say, with a straight face, that one has tested it? Just turning it on in orbit and running the fans without smoke coming out of the mechanism is worth something, I suppose, but as a “test” that seems to fall well short of completeness. Anyone with more knowledge than me about the testing of life support systems please chime in. Which, naturally, you are entirely unable to specify. That’s what I said, albeit in nautical rather than aviation terms. Well, for one thing, the aviation companies of the 30’s, 40’s and 50’s were still mostly run by their founding engineer-entrepreneurs, not organization men, green eyeshade types and lawyers. One of the biggest practical differences is the effective disappearance of self-funded experimental prototypes and/or unsolicited proposals presented to government bodies. There were a lot of those in the 30’s, 40’s and 50’s. The Boeing model 299 was, in essence, such a beast. It was built on the company dime in response to a government solicitation, but was vastly in excess of stated minimum requirements. You’re the one who doesn’t understand. You constantly assert that very modest evolutions in airliner design are somehow radical departures and then turn around and condemn actual radical departures achieved by NewSpace companies as minor evolutions of the tired and true. sure.. Before DM-2, that makes sense. BUT, before DM-1? more like find a use for your chair. There IS a legitimate argument to made for that. But if it was sold (with a performance payment!) as an all-up “everything but crew” flight test – that makes it really hard to start waiving requirements. That would be a contract mod and then you’d probably STILL need to do the all up test anyway as DM-1A. If SpaceX thought there was schedule risk trying to leave all prefight activities to the end, they could have had intermediate milestones that would have done the cert work in smaller chunks. Even their in-flight abort is AFTER this test (a great time to waiver requirements). Once they agreed to the contractual scope of work, they are kinda stuck. I dont share your view of the F20. at the time I wondered what they thought they were doing with that airplane. it was a mediocre weapon system and was introduced into a market that was dominated by the Viper which is a superior weapon. What is the Viper? There is a new civilian military trainer-ish-looking plane with that name and also a version of the F-16 dating from a few years ago. Did you mean that updated F-16? I’ve always known the F-16 as the Fighting Falcon, not the Viper. Or did you have something else in mind entirely? Sovbloc fighter aircraft always had NATO-assigned code names starting with “F.” Help a fella out here. The major advantage of the F-20 was that it would have been quite a bit cheaper per unit than anything else on offer at the time. Quantity, as Joe Stalin famously said, has a quality all its own. Given that one of the major failings of all USAF types since F-16 is unit prices so high that total buys have to be kept low, USAF has increasingly little tolerance for typical loss percentages when opposing a peer or peer-enough enemy. It’s a good thing the Russians and Chinese seem to have the same problem, but probably nor smart to count too much on that should the balloon ever go up with either or both of them.